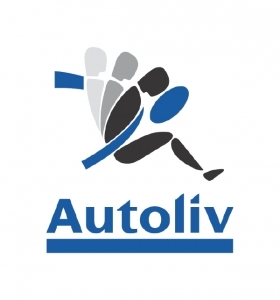 Swedish automotive safety products supplier Autoliv said its third quarter net income fell 7 percent to $99 million, citing weaker results in the slowing Chinese auto market. But the company said overall business growth remained strong. Total revenue fell 1 percent to $2.2 billion, but when adjusted for currency translations, sales actually improved by 8 percent, Autoliv said. The company posted adjusted earnings per share of $1.53, exceeding the $1.44 consensus expected by Wall Street analysts. Revenue from China fell 3.5 percent to $332 million when adjusted for currency translation, but business in the Americas improved 9 percent to $810 million. Business in the company's biggest product -- automotive airbags -- gained 10 percent when adjusted for currency changes to $1.2 billion during the quarter. Autoliv has been one the major beneficiaries of new business generated by the Takata airbag inflator recalls, which includes 19 million vehicles in the U.S. made by 11 automakers. "During the third quarter, we delivered more than 8 percent organic sales growth, including 36 percent growth in our important active safety business," CEO Jan Carlson said in a statement today. "I am pleased with Autoliv’s overall performance in the quarter." "Our strong growth outperformed the light vehicle production in all regions. We saw double digit growth in Europe, Japan and the rest of Asia (excluding China), which combined account for around half of Autoliv’s total sales. In Europe, active safety and sales of passive safety products to volume manufacturers were the strongest growth drivers." The company said it is seeing positive signs in China at the beginning of the fourth quarter. Carlson said a tax cut from Chinese authorities on small cars to revive growth, which took effect on Oct. 1, was apparently having an effect. "We see in a near perspective it [the tax cut] is having an easing effect. That, together with the IHS seeing a smaller drop in China in Q4, could mean it has leveled out, at least for now," he told Reuters. China's cut in sales tax on smaller cars lasts through the end of 2016. The supplier has been hit in the past few quarters by a decline in light vehicle production in China, the world's biggest auto market and until recently a profit engine for automakers, where it makes around 16 percent of its sales. The company reiterated its forecast for a full-year adjusted operating margin of around 9.5 percent, and said it expected raw material costs this year to end up around $37 million lower than in 2014.